Where is a conservative when you need one? I’ve written before about why I am not a conservative (Link here), but now I want to point out that neither are Republicans. What is conservatism? Through the centuries, it has been defined by two central guiding principles. First, that tradition is the best guide for governance. The wisdom of centuries of ancestors has winnowed the true and lasting from the meretricious and ephemeral. We should not make ill-considered changes in the functioning of society, but only those absolutely necessary, and even those should never be done quickly, but only with judicious deliberateness. Second, that a strong central government is necessary for the smooth running of society. 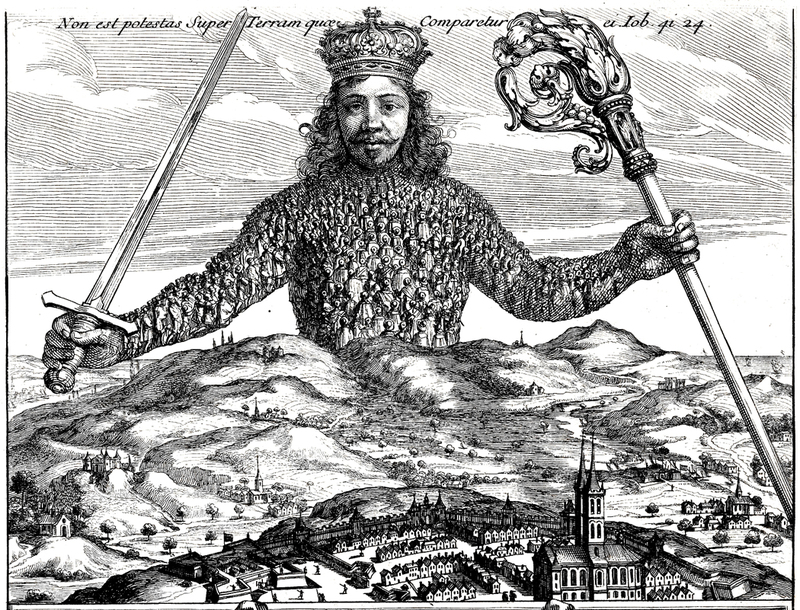 A Hobbesian Leviathan to control the powers of crime, greed, violence and selfishness that are the core of basic human nature. This sort of conservatism has been both a strength of such lasting governments as those of Great Britain, and a weakness, when entrenched interests use its tenets to prevent the furtherance of justice. In America, we have seen this most maliciously in the retrenchment against Civil Rights and the enforcement of segregation. So, a faith in keeping things running smoothly as it has been running, and in a strong central government are what define conservatism. But this is almost 180 degrees from what those who now call themselves conservatives believe. In fact, they seek to promote the crime, greed, violence and selfishness that are the core of basic human nature. All checks removed. Yea! For them, the central government is too strong, too invasive, and such segments of the Republican Party as the Tea Party, seek to blow up two centuries of established patterns of governance. What happened? Conservatives are meant to be wary of change. Once again: This is not conservatism. It is anarchism. In recent decades, the Republican Party has been the conservative party, from Barry Goldwater, through Ronald Reagan and into the 1990s, but that has all changed. There is precious little conservatism in the party these days. Of course, parties have changed over the years, over the centuries. When the Constitution was written, it was the fervent hope of all those participating that the government would be able to function without the pernicious effect of factions. That didn’t last long, as almost immediately, the Federalists began feuding with the Jeffersonian Democratic-Republicans. But, while the parties were originally formed on ideological grounds, they soon became something else: competing teams of political power-seekers. They might as well have been football teams. They existed on patronage and party machinery. In the 19th Century, occasional third parties arose, based on political philosophy, but they either soon faded, or were absorbed into the system. Whigs, Free-Soilers, Know-Nothings. The one that survived and prospered was the Republican Party, begun as an anti-slavery party, and, after the Civil War, the party of Reconstruction and then the party of Big Business. The logic of this evolution is not clear, except as the party was led by power-seekers who gravitated toward money. But it was also the party fostering conservation in the natural world, and the party that undertook the breaking up of corporate monopolies. Nowadays, that is hard to credit. Through most of the 20th Century, the contending Republican and Democratic parties were simply teams vying for power. There were liberal Republicans and quite a few conservative Democrats. Both parties contained a spectrum of inclinations. They were just teams competing for power. But, since Goldwater, the parties began a process of ideological cleansing, with those calling themselves conservatives drifting ever more to the Republican Party. Some were motivated by genuine governing philosophies, but many were pulled toward the right by the rise of Civil Rights. There was a conscious strategy among some Republicans to appeal, mainly via dogwhistle weasel words, to abject racism. The Republicans claimed to be conservative; they excoriated the Democrats for being “liberal,” as though that were a pejorative term. But just how conservative are current Republicans? Not much. It has been pointed out by many observers that the leaders of the Republican Party have made a devil’s bargain with these fringe groups to gain and keep power in Washington, but that now, the monster has begun to kill its own creator. As a smaller and smaller faction of radicals enforce their will on primary elections, otherwise sensible politicians have had to curry the favor of the nut-groups, leading to a wider and wider division between the two political parties, and into that divide has seeped an element so toxic, it could destroy the whole thing. Donald Trump is not a conservative. He isn’t anything. There is no philosophy of government, no thoughtful consideration or principles. He says one thing one day and the opposite the next. Heck, he can even contradict himself within a single sentence — if you can acknowledge those utterances of word salad as sentences. Trump is a creature unfit for the office, unfit even for human company. A “short-fingered vulgarian” and self-promoter, he makes me embarrassed to be an American. And not because of his politics — which are bad enough — but because he is such a poltroon. I needn’t enumerate his gaucheries, insults, lies, distortions, self-aggrandizements, arm-twisting handshakes, bilious lip-poutings, shuffling gait, knee-length neckties, blatant nepotisms and the creepy things he has said about his daughter — all these and more can be found by the thousands on the Google. But, because the Tea Party has controlled the Republican Party, and because a minority of voters in a crowded primary managed to win Trump the nomination in 2016, the party finds itself having to defend and support the unsupportable and indefensible. And now, no grown-ups have gotten what they wanted, or thought they wanted. Only the immature, thoughtless and xenophobic have got what they sought. I have no doubt that many a Republican congressman and senator would be more centrist, if they did not face rabid primary challenges in their now gerrymandered districts. Some Republicans no doubt would like to promote genuine conservative ideals, but they have been backed into a corner, and now face defending tariffs instead of free trade. They have to campaign against the very institution they are members of. And they have to excuse behavior from their party leader that they would have salivated over being able to use against any Democrat. Did Bill Clinton lie about Monica Lewinsky? A threat to our nation. Did Trump lie about Stormy Daniels? Well, he’s just being Trump. No big deal. They are caught, not merely in a round of hypocrisy, but hypocrisy so blatant and toxic it may well end up disintegrating the Republican Party. And most of the country — a majority of voters — will find it hard to lament the demise.